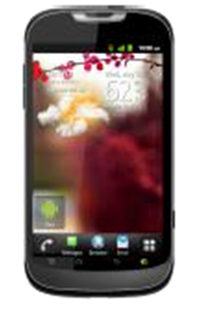 T-Mobile will add two inexpensive Android phones to its roster: the T-Mobile myTouch and the T-Mobile myTouch Q. Both phones are made by Huawei and will cost $50 after a $50 mail-in rebate card and a new two-year contract. There are a few drawbacks to these new phones, however. Both ship with an outdated version of Android (“Gingerbread,” also known as Android 2.3), which is unfortunate as more and more phones are now shipping with Android 4.0. They also don’t have the most cutting-edge specs when compared with other inexpensive Android phones. Once upon a time, the myTouch phones were the premier, high-end Android phones for the carrier. The first few were made by HTC, like the myTouch 4G Slide and boasted top-of-the-line features such as advanced cameras and dual-core processors. T-Mobile is now taking a different approach with its myTouch line of phones. The previous myTouch phones, made by LG, are marketed as “easy-to-use” Android phones and it seems like these Huawei phones are going for the same thing. Both phones are fairly similar in terms of specs: a single-core 1.4Ghz processor, 4-inch WVGA display and a 5-megapixel camera. They also feature a “Genius Button,” something we’ve seen on other myTouch phones. The Genius Button activates the myTouch voice command service, which is powered by Dragon from Nuance. The voice-control features have been updated to include the ability to search multiple sources, launch apps, and more. The phones also both have a customized overlay running over Android with a redesigned apps drawer. The big difference between the myTouch and the myTouch Q is that the Q has a physical keyboard. Smartphones with hardware keyboards seem to be a rarity these days, but T-Mobile has a long tradition with QWERTY phones that harkens back to the Sidekick days. As my colleague Armando Rodriguez wrote in his rant against cheap Android phones, “It takes a lot of corner-cutting to sell a smartphone for $50 or less.” While the voice-command features are intriguing, and T-Mobile generally does a good job with its myTouch Android interfaces, the specs seem more appropriate for a phone from 2010. Specs aren’t everything, of course, and we won’t know how well these phones perform until we get them in the house. 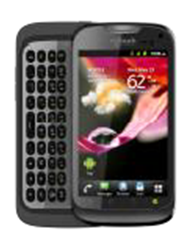 The T-Mobile myTouch will be offered in black or dark red while the myTouch Q will be offered in black or white. Both will be available “this summer” in T-Mobile retail stores, national retailers, and online.